The academic year is winding down, and I’ve begun to take a retrospective look at my performance during this school year as an SLP. Was I effective in my therapeutic execution? Did I utilize my time wisely? Did I manage the behaviors of my students efficiently? Although the first two questions are very important, I couldn’t help but focus on the third. This was my first year working in a school with a reputation for having a “difficult to manage” student body. Since I service students in groups of 5, the staff felt that there would be no difficulties with behavior management. Maybe it was wishful thinking on their part, but boy, were they wrong! Many students have time management difficulties that often affect others in the group. As our whole group has to wait for “Richard” to complete his independent work prior to us moving on. 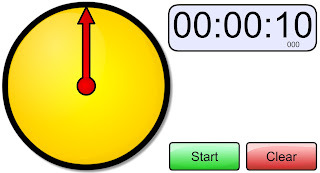 This resource is a website that offers various online stopwatches available for use on your PC or smartphone. Instead of having the constant time-keeping responsibility, this site allows for the responsibility to be shared. 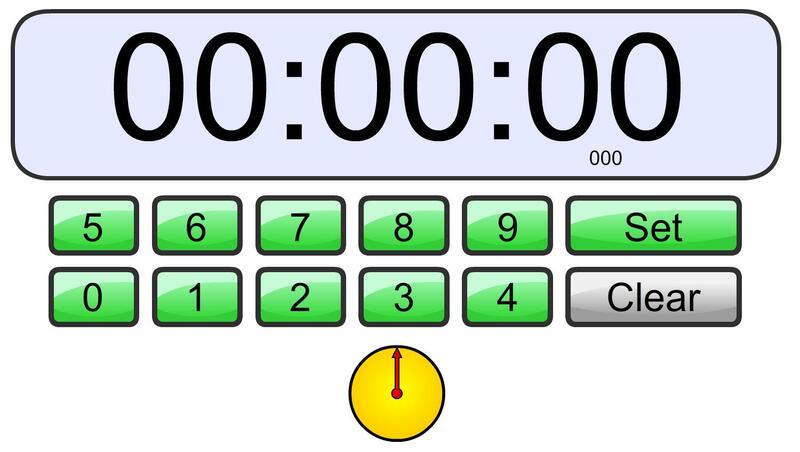 Typically, I vocalize the amount of time that will be set, turn the monitor (or phone) to the students and begin the timer. Once the time on the stopwatch has elapsed, it will make a sound that will alert everyone that time is up. 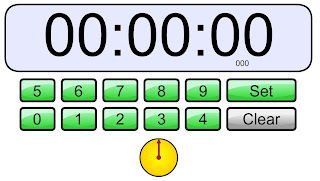 It is worth nothing that some of my easily distracted students spend their activity time watching the stopwatch count down rather than attending to their task. I recommend looking over at your group occasionally to ensure that students aren’t zoning out on the image. Users are not limited in the type of visual they can utilize, the site offers an assortment of options, ranging from an egg timer, a bomb, a candle, runners, and even swimmers! I personally have an Android operating system on my phone and find that the site works well. 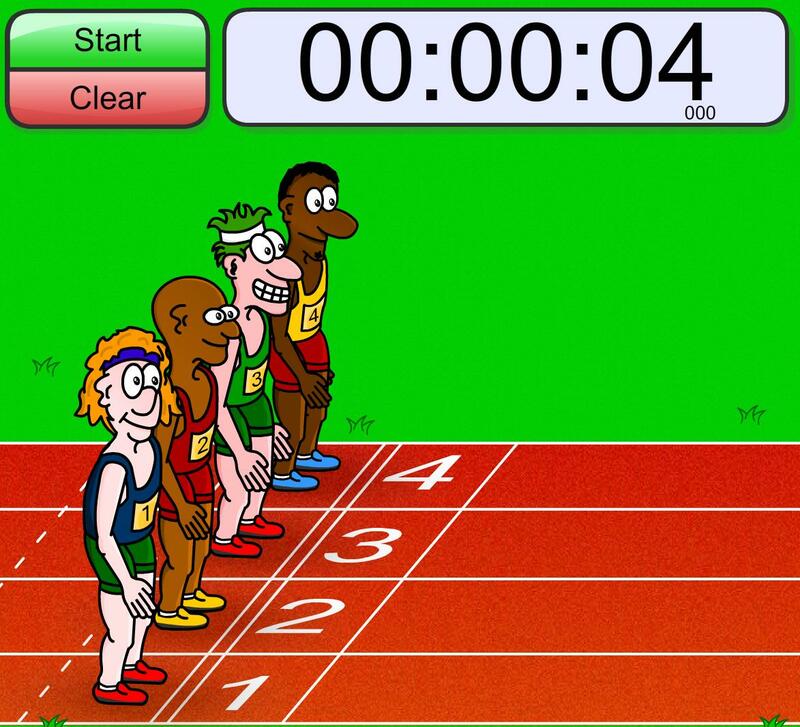 This site however, would not be beneficial for iPad users, as the iPad does not have the Adobe Flash compatibility. Well, that’s it for now. Let’s hope this week is quick and painless, as Friday is our last day of this school year! 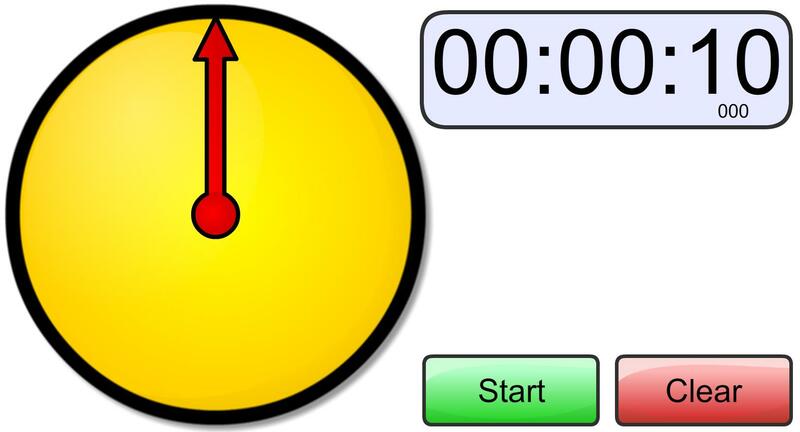 Hello, if you need a timer that works on Ipad the best option is Timerland, http://www.timerland.net . Great article!